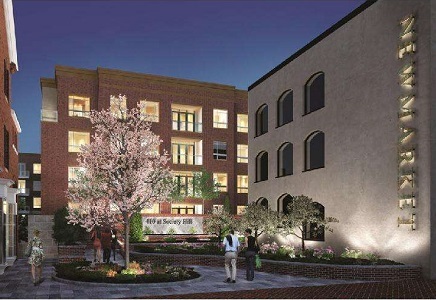 The 410 at Society Hill Condominiums by Toll Brothers are a boutique-style condominium community located in Philadelphia’s oldest neighborhood. Residents will enjoy the art galleries, shops, restaurants, and nightlife that the Old City neighborhood has to offer. Outdoor recreation along the Delaware River or in Franklin Square Park is also just a few steps away. Conveniently located within walking distance to public transportation, residents will find an easy commute into Center City Philadelphia. The units at 410 offer high-quality finishes such as high ceilings, hardwood floors, open kitchen designs, and top-of-the-line appliances. Residents will also enjoy amenities such as private balconies, underground on-site parking, a 24-hour concierge, meticulously-landscaped courtyard, and a rooftop terrace with panoramic views of the city. Let the James ‘Right’ Price team’s real estate acumen find your new Philadelphia luxury condominium home in the meticulously-designed 410 at Society Hill condos today!